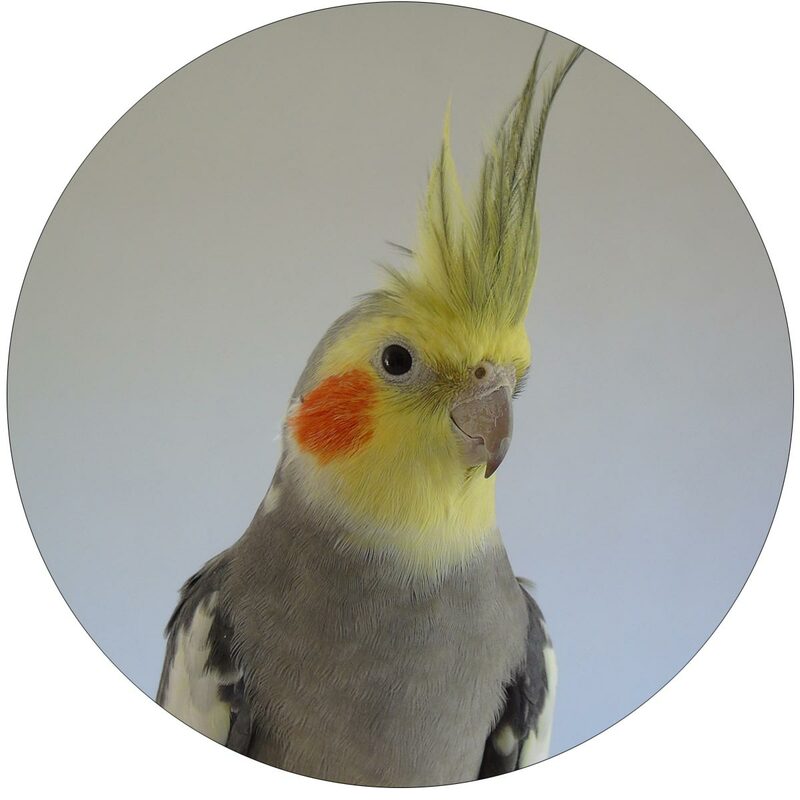 How Dr. Pepperberg Taught Parrots To Use Speech Appropriately – Pet Birds by Lafeber Co.
Posted on March 8, 2017 March 19, 2019 by Irene Pepperberg, Ph.D. I recently presented an hour-long lecture to veterinary students on the cognitive and communicative abilities of African grey parrots. Given that I had only about 45 minutes to present the material (so as to leave time for questions) and lots to say, I organized the talk as I often do these days: I provided very little background and immediately went into the descriptions of the various current studies in my laboratory. I wasn’t thinking about the fact that many of these young adults, although familiar with my work in general, had never read my journal articles nor had previously heard me speak. So when one of them asked about how I had actually trained Alex, Griffin, and now Athena, to use English speech meaningfully, I was momentarily surprised. Then I realized that it had actually been quite some time since I had described my techniques in talks, and even in professional papers, preferring just to refer to earlier publications. As a consequence I thought I would take this opportunity to provide this information, along with a bit of background. In the 1970s, after reviewing what was then known about vocal learning in parrots (actually, not very much at the time), language acquisition in children, and psychological constructs of social learning in humans, I formulated a type of instruction, termed the model/rival (M/R) system. 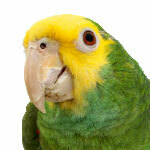 The approach efficiently teaches a parrot both how to speak and how to use its speech appropriately. 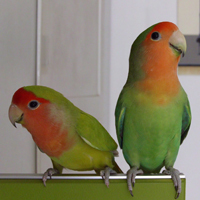 It is based on methods developed by Todt (1975) and Bandura (1971), and it uses three-way social interactions among two humans and a parrot, as a way to demonstrate the vocal behavior that is to be learned (Pepperberg, 1981; see photos). The parrot observes two humans handling and speaking about one or more items and how these individuals interact with each other. As the parrot watches and listens, one trainer presents objects and queries the other trainer about these items, with such expressions as “What’s here?,” “What color?,” giving praise and transferring the named item to the human partner as a reward for correct answers. Incorrect responses are punished by scolding and by temporarily removing items from sight. 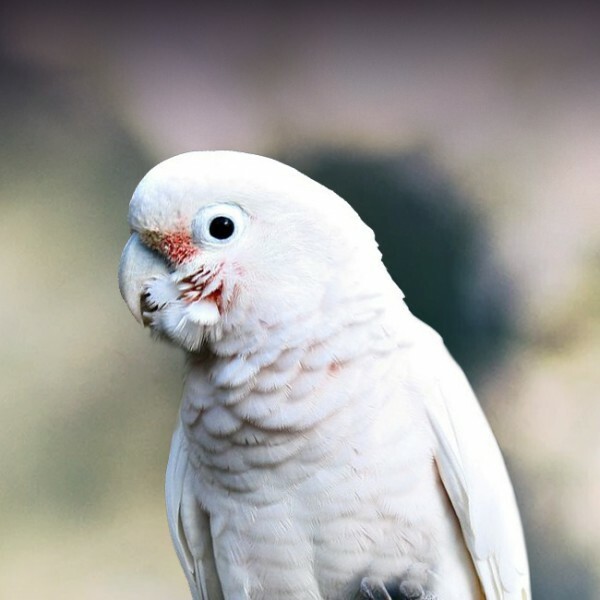 Thus the second human serves both as a model for the parrot’s responses and its rival for the trainer’s attention, and also illustrates the consequences of errors. The model must try again or talk more clearly if the response was deliberately made incorrectly or garbled; that is, the model is subject to what we call the “process of corrective feedback” and the bird observes this process in action. 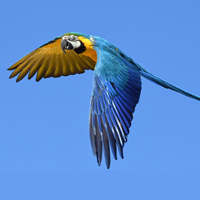 The parrot is also included in the interactions: it is queried and rewarded for successive approximations to correct responses, and training is adjusted how well it is performing. If a bird is inattentive or its accuracy regresses, trainers threaten to leave. Unlike M/R procedures others have used (Todt, 1975; see discussion in Pepperberg & Sherman, 2000), we interchange roles of trainer and model, and include the parrot in interactions. This procedure shows that a questioner can also be a respondent, and demonstrates the specific effect of particular vocalizations. 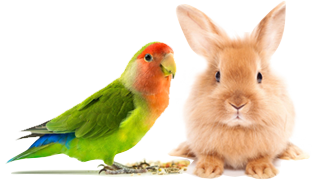 Role reversal also counteracts an earlier problem: birds whose trainers always maintained their respective roles responded only to the particular human questioner (Todt, 1975). With our technique, birds will respond to, interact with, and learn from any human. M/R training uses only intrinsic reinforcers: to have the closest possible link between labels or concepts to be learned and the appropriate vocalization, the reward for uttering “X” is access to X, the object to which the label or concept refers. Earlier unsuccessful attempts to teach birds to communicate with humans used extrinsic rewards (Pepperberg, 1999): a single food was used that neither related to, nor varied with, the label or concept being taught. This procedure delayed label and concept acquisition by confusing the label of the targeted item or concept being trained with that of the food reward. We never used extrinsic rewards. Use of the label to request the item from the start also shows the bird that uttering labels is really useful. Later, when we had to train more complex tasks but had to use the same objects (e.g., for studies on labeling the number of items in a set), and the birds were no longer terribly interested in these objects, we trained them to use the phrase “I want X” and “Wanna go Y” so that they could request whatever reward they wanted—be it a piece of cashew, a tickle, or to return to their cage and an end the session. 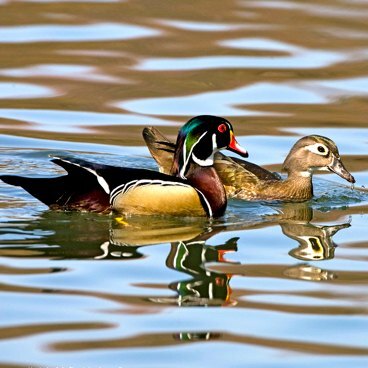 Although training a bird in this manner may seem to be something relevant only to scientific studies, it can be quite important in the daily life of a companion bird. One wouldn’t accede to all of a parrot’s requests (much like one wouldn’t do so for a young child—just so many cookies can be consumed in a given day! 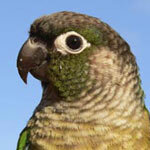 ), but it seems only reasonable to give a parrot at least some control over its daily life. Think of how you would feel if absolutely every aspect of your day was decided by someone else. One of my friends actually asks her bird to choose among the acceptable fruits and veggies that can be put in its bowl each morning. We don’t do that for our parrots, but we’ve thought about it, as she claims that it cuts down on a lot of waste. 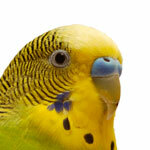 We do, however, let our birds choose where to spend their free time, and to decide which toys they want as rewards. We find that our birds really seem to like having some choice in their lives. Bandura, A. (1971). Analysis of modeling processes. In A. Bandura (Ed. ), Psychological modeling (pp. 1–62). Chicago: Aldine-Atherton. Pepperberg, I.M. (1981). 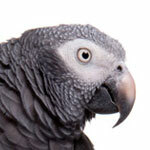 Functional vocalizations by an African Grey parrot (Psittacus erithacus). Zeitschrift für Tierpsychologie, 55,139–160. Pepperberg, I.M. (1999). The Alex studies. Cambridge, MA: Harvard University Press. Pepperberg, I. M., & Sherman, D. V. (2000). Proposed use of two-part interactive modeling as a means to increase functional skills in children with a variety of disabilities. Teaching and Learning in Medicine, 12, 213–220. Todt, D. (1975). Social learning of vocal patterns and modes of their applications in Grey Parrots. Zeitschrift für Tierpsychologie, 39, 178–188.